The truck wars continue, the trade wars also continue, Elon Musk continues, and, well, Maserati. This is The Morning Shift for Friday, Aug. 10, 2018. When you think of corporate espionage, you think of documents exchanging hands in dark parking garages, or hackers breaking into company mainframes. But GM is better than all that, and instead opted to walk in the front door in their attempts to best the Ford F-150, the best-selling truck in America. That meant GM engineers joining public factory tours of Ford’s Dearborn plant. The engineers studied Ford’s production methods and said, yeah, we can do better. ... armed with stopwatches and trained eyes, the GM engineers believed they saw problems. “They had a real hard time getting those doors to fit,” Tim Herrick, the executive chief engineer for GM truck programs told Reuters. His team did more intelligence gathering. They bought and tore apart Ford F-series doors sold as repair parts. Their conclusion: GM could cut weight in its trucks for a lower cost using doors made of a combination of aluminum and high strength steel that could be thinner than standard steel, shaving off kilograms in the process. 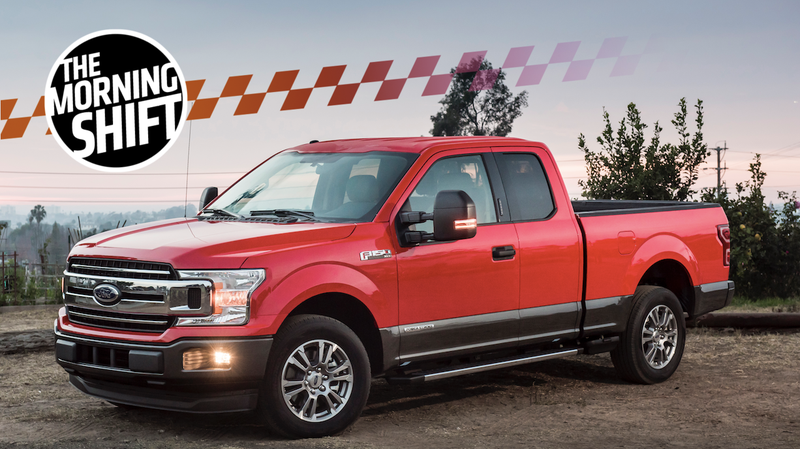 Ford’s F-Series pickups outsell Chevy Silverados by a pretty wide margin, helped by the 2014 Ford redesign that made them lighter and more fuel-efficient than ever before. GM thinks they can replicate that success by making theirs lighter and more fuel-efficient as well, but—a bit strangely—GM won’t be electrifying Silverados, according to Reuters, instead going for maximum weight loss. The mostly steel body is bolted to the truck’s steel frame, rather than the one-piece body and frame electric vehicles. The majority of trucks will have a V-8 gasoline engine in front powering the rear wheels — like the classic GM cars of the 1950s. 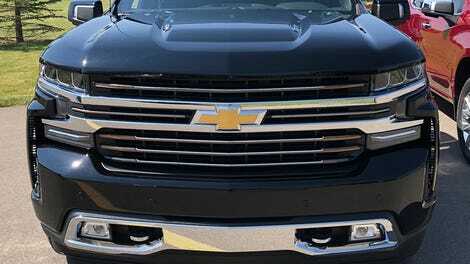 Some Silverados will have new four-cylinder engines, but there is no electric or hybrid offering as of now. The new Silverado — GM’s top-selling vehicle in the United States — is a technology achievement of a different kind. It is taller and has a longer wheelbase than its beefy predecessor, which can help it more easily meet federal fuel efficiency rules. But it is 450 pounds lighter, and its V-8 engine achieves 23 mpg on the highway, which rivals smaller SUVs and crossovers. GM makes a lot of money off of Silverados, irrespective of Ford’s market-share advantage, and its counting on profits from the 2019 model year and beyond to invest in electric-car development. I can’t say that GM is doing anything particularly interesting with all of this, but that’s very on-brand for GM. Do you know? If you know, please tell us. Leading candidates include SoftBank, Jeff Bezos, a Saudi Arabian fund, and the ghost of Steve Jobs. Surely, it someone, though, right? Well, your guess is as good as any, including, apparently, Tesla’s board. While Tesla’s board has held multiple discussions about Musk’s proposal, which first became public on Tuesday, it has not yet received specific information on who will provide the funding, one of the sources said. The board expects to make a decision on whether to launch a formal review of Musk’s proposal in the coming days, and is speaking to investment bankers about hiring financial advisers to assist it in its review in such scenario, the sources said. Never a dull day in Tesla world. Mike Manley only recently took over as CEO of FCA in the wake of the death of Sergio Marchionne. And while Maserati’s second-quarter results were well below expectations, Manley said, “I have confidence in the Maserati team to make up whatever the shortfall that they have had today saleswise.” Manley blamed most of the shortfall on China. Maserati shipments in the second quarter fell 41 percent compared with the same period of 2017, mainly because of a 69 percent plunge in China shipments. Deliveries also declined in other areas, with shipments to North America down 22 percent and deliveries to Europe, the Middle East and Africa down 23 percent. China was the main reason for the decline, FCA top management said. Although recognizing that Maserati shipments fell in other areas in the second quarter, such as the U.S., “70 percent of the issue is all focused on China,” Manley told analysts during a conference call to discuss FCA’s second-quarter financial results on July 25. Maserati wasn’t alone among automakers in seeing a dip in sales in China, apparently because the country is lowering import tariffs in July, leading many dealers to hold off on importing until then. Still, it was a blow to FCA, which has been trying to rebuild Maserati for a few years now. And despite the short-term setback, the company’s ambitions remain big, with hopes to sell 100,000 Maseratis annually by 2022, or about ten times the number Maserati sold in 2013. Maserati projects sales of about 50,000 for this year, or about the same as last year. With Mexico, at least. The country has been negotiating with the U.S. over terms, auto manufacturing being the sticking point. After that, according to Bloomberg, Canada might re-enter the picture. Needless to say, automakers are closely watching the talks, which could have wide repercussions on their business, and, should new tariffs come into play, will drive up the cost of cars for consumers. The U.S. and Mexico, which have been in bilateral negotiations for about three weeks, appear to be “getting close” to agreement over auto manufacturing, David MacNaughton, Canada’s ambassador to the U.S., said in an interview. “If they can resolve their differences on that, then I think we can move ahead and have the three of us talk about some of the other issues that affect all of us,” MacNaughton said on BNN Bloomberg television Thursday. Negotiators for the U.S. and Mexico are pushing for a deal on regional content requirements for car production and a list of other contentious issues. Canada hasn’t been at the negotiating table in the past weeks, as the U.S. and Mexico have focused talks largely on their proposals for toughening auto content rules. This is apparently because of an issue with the rear brakes, which Chinese authorities deemed “insufficient.” The GLE and GLS models were built in the U.S. before being shipped to China. Details, including the exact number of SUVs held-up were thin, but the customs issue comes amid the wider atmosphere of President Trump’s ongoing trade war. Daimler said the company had been made aware of a potential brake issue related to vehicles in China imported from the United States. Neutral: If You’re a Ford Person, What Would It Take For You to Become a Chevy Person?